Sew what's cooking with Joan! 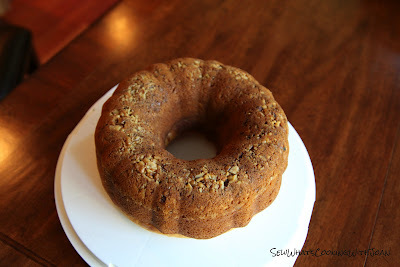 : Rum Cake...a must bake! I have been making this cake for many years. It all started with a colleague I worked with at a dialysis company 6 or so years ago. She would make this delicious and moist cake and bring it into the office to share. You could smell the aroma of the rum and butter from your desk, it was heavenly! Since then, I have taken this recipe with me and baked my own version to share with other colleagues, family and friends for years. It makes about 12 servings so it's great for a crowd or large dinner gathering. It would also be great served with afternoon tea. 1. Preheat oven to 325 F. Grease and flour one 10-inch tube or bundt pan. 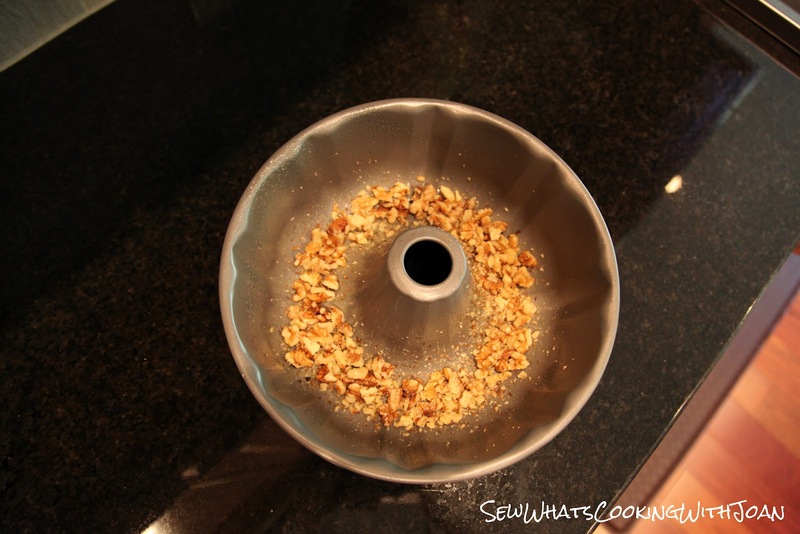 Sprinkle walnuts over the bottom of the pan. 2. 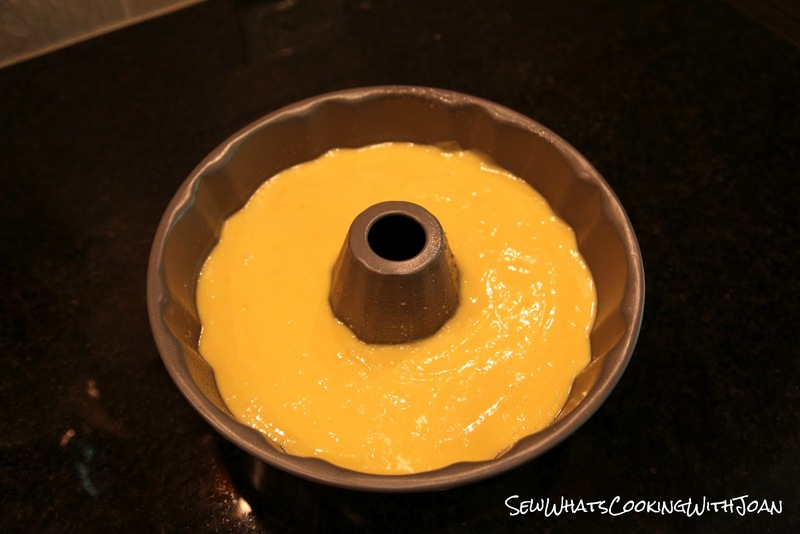 Mix together the yellow cake mix, 1/2 cup dark rum, eggs, 1/2 cup cold water, cooking oil and instant vanilla pudding. Pour batter over nuts. 3. Bake at 325 degrees for 1 hour. Cool and invert on a serving plate and prick the top with either a fork or tooth pick. 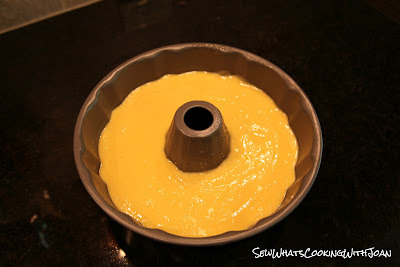 To make the glaze: melt the butter in a sauce pan. Stir in 1/8 cup of water and sugar. Boil for 5 minutes, stirring constantly. Remove mixture from heat and stir in rum. 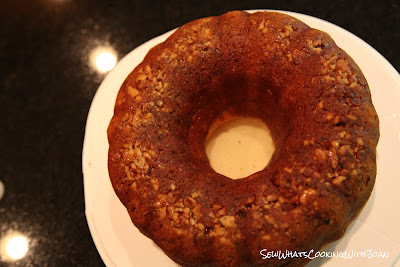 Drizzle and smooth glaze evenly over the top and sides of the cake. Enjoy!! I will be sharing a breakfast sweet next week with a fruit that is in it's peak this time of year and chalk full of good things for you!